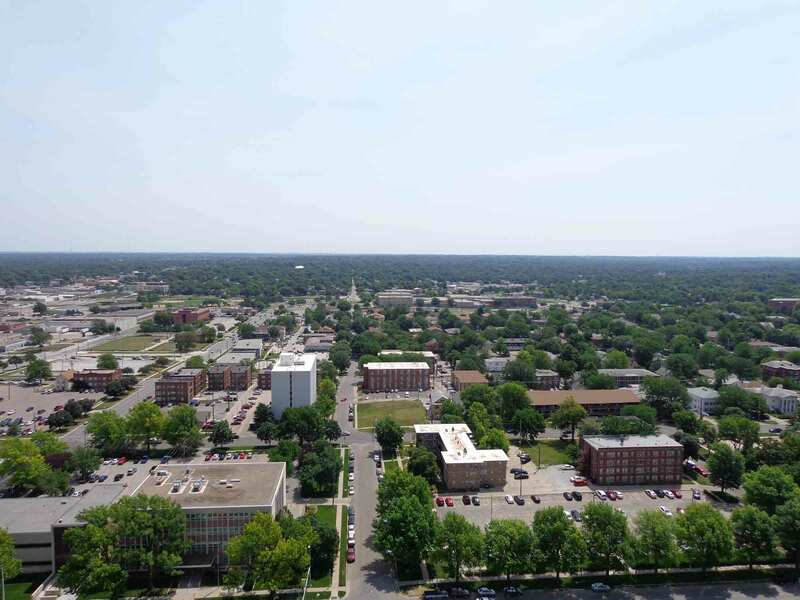 Any visit to the Capitol should include a trip to the top of the 362-foot central tower, to get a view out over the city itself and, sprawling into the distance, the plains that surround the city and define the region–the rich, flat land known as the Great Plains, which contributed so much to making the Midwest the splendid crop region that it is. As noted in an earlier post (Midwest Classic, Nov. 24, 2014), train tracks and grain elevators mark towns in the Midwest, and the size and number of grain elevators are indicators of both the size of a town and the size of the region it serves. 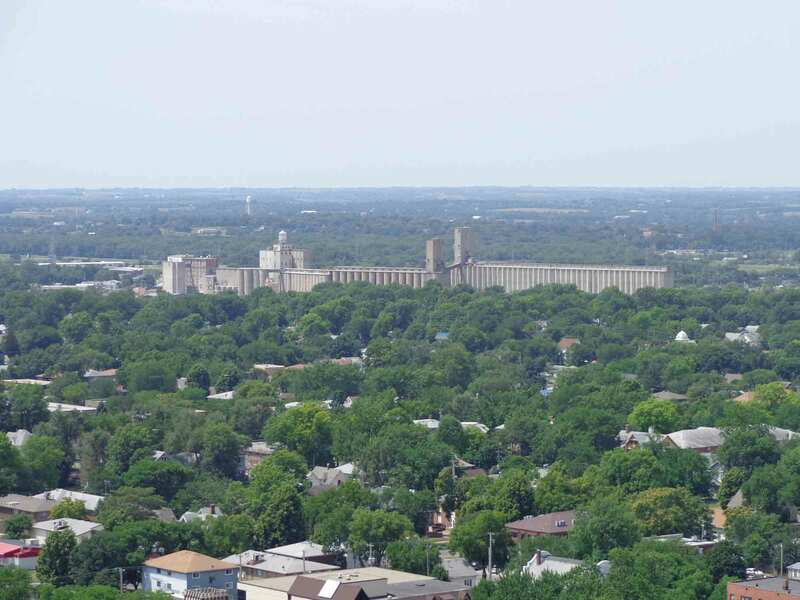 The grain elevators in Lincoln are large and numerous–and easily visible from the tower. Leaving the museum, I headed across town to the Nebraska State Capitol. Designed in 1920 by New York Architect Bertram Grosvenor Goodhue, the present building is the third to be erected on this site. 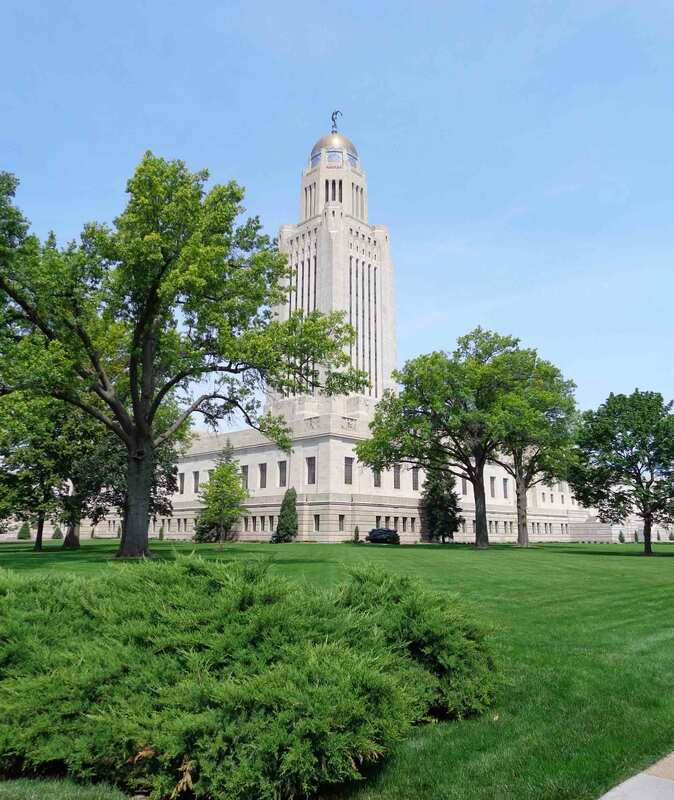 It was the first statehouse in the country to adopt a design that dramatically departed from the prototypical form of the nation’s Capitol and to use an office tower. The building is suitably imposing, making it clear that it is a center of government. 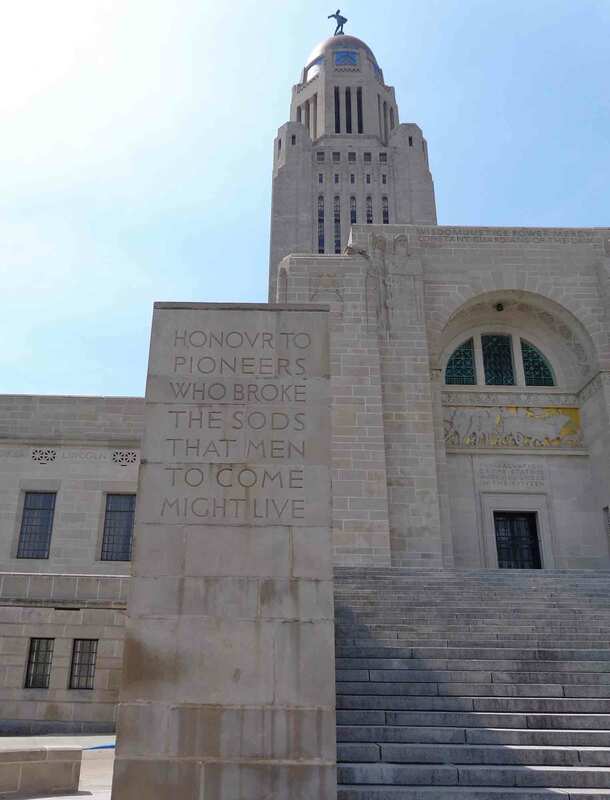 The decorations, inside and out, do a good job of capturing the eras, ideals, and aspects of Nebraska history, with a wealth of statues, bas-reliefs, murals, inscriptions, and decorative fixtures. Agriculture is highlighted everywhere. The statue that caps the tower is titled The Sower. 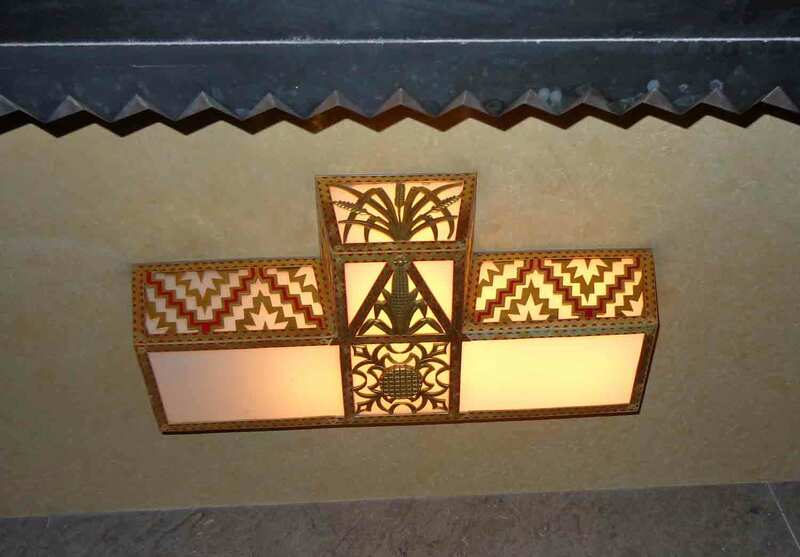 This brass light fixture is another example, with its spray of wheat and ear of corn.